Architect Mark Lemmon designed this Methodist Chapel on the SMU campus in University Park. Sacred spaces invoke a tranquility and appeal that goes beyond their specific discipline. Here the chapel is used for a Catholic Easter vigil starting with lighting of the candles for a procession into the chapel. We see the cathedral of Notre Dame attract more visitors than the Eiffel Tower. Recently, we have seen nonpracticing Catholics and nonbelievers on their knees or weeping at the site of the fire. The sorrow expressed went beyond the loss of architecture and went directly to the faith and feelings that this architecture propelled for so many. I have always loved sacred architecture, whether it is imaginative, modern, or steeped in historical tradition, shiny or rustic. My favorite sacred space is where a birch bark cross, bound together, was placed on the point of a peninsula protruding into a small glacial lake surrounded by virgin forest. Birch bark-covered logs provided the seating and white faded stones lined the path to this transformative spot. 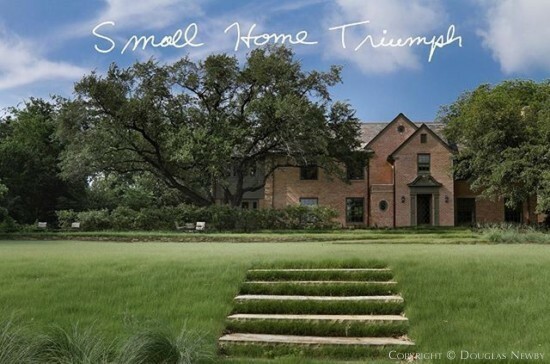 Simple or elaborate, architecture and design does more than house or protect, it nourishes. Artist Linnea Glatt has always impressed me with her work. It is geometric, precise, organized, symmetrical, sequential, balanced, and correct. But, as you can see, this mounted sculpture has soft tactile edges. This linear piece creates undulating shadows and then your eye is taken back to the black and white contrast the artist created. 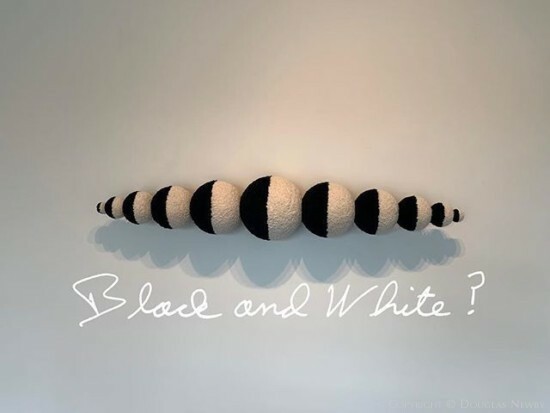 Here artist Linnea Glatt has created a sculpture that presents itself as a statement of black and white, but is so much more. 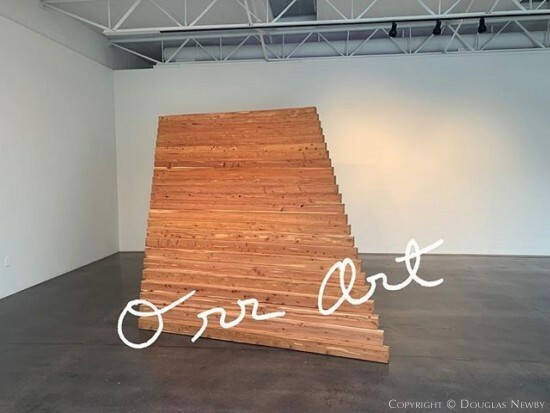 You can see recent work of Linnea Glatt at the Monumental II exhibition @BarryWhistlerGallery that opens April 6th. * Black and White? 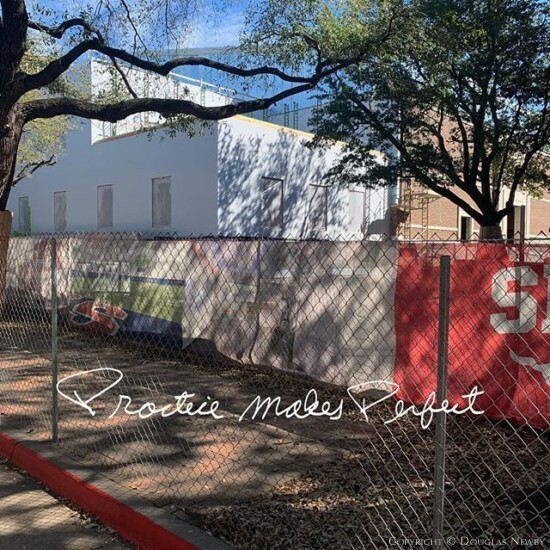 The building of an indoor practice football field on SMU’s Bishop Boulevard purports to make an SMU football team better. The total disregard for campus aesthetics promises to perfect bad. It will be hard for SMU to find someone with a straight face that this indoor practice football field reaches an acceptable standard of campus planning or architecture. I have always thought a football field helped a university. If the games were on campus—even better. Academics and athletics can easily coexist. What can’t seem to coexist at SMU are aesthetics and athletics. Athletics detracting from academics I have considered a fairly tiresome argument. Aesthetics versus athletics is a fresher and more dynamic concern. The design of college stadiums might draw some comment from architecture critics or university faithful, but I cannot recall anywhere when aesthetics were so pummeled by athletics. 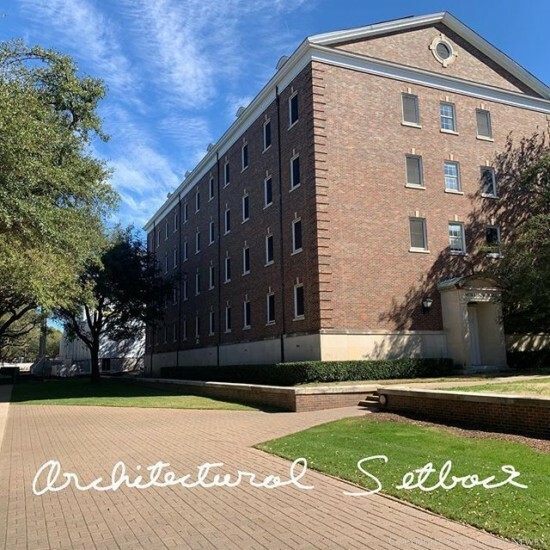 This university architectural site plan came on a campus that has long been ranked high in the nation for its beauty, SMU is also a university that hs one of the nation’s best art schools. Now, right across from the plaza of the art school is an indoor practice football field that hugs the curb of Bishop Boulevard. 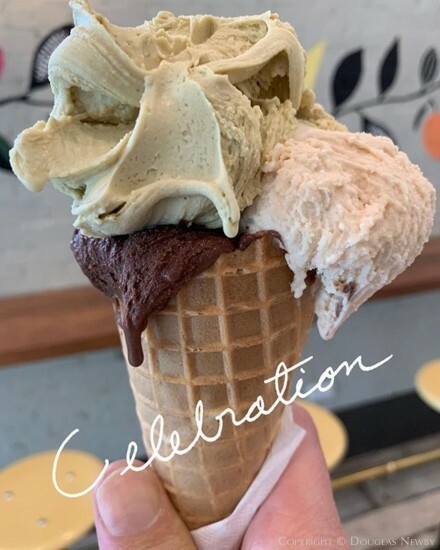 Whether it is SMU's performing arts, studio arts or art history, the Meadows School of the Arts raises the aesthetic sensibility of every student on campus. The visually and emotionally deadening effect of a monstrous indoor football practice field lowers the aesthetic awareness and expectations of every student. I always knew SMU could survive their athletic death penalty as the sanctions would go away and the teams would rebuild. But how can SMU aesthetics survive this athletic assault? I wish the NCAA could issue aesthetic sanctions on SMU and deny them building permits for the next 30 years. The only hope is, just like the oversized homes from the 1980s and 1990s that are being torn down, this building too will be torn down in the not too distant future. 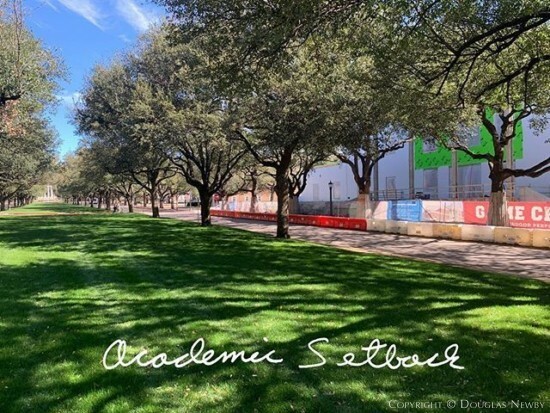 *Practice Makes Perfect #AcademicsVersusAthletics #ArchitecturalTravesty #SMU #BishopBoulevard #SMUArts #SMUArtSchool #Design #Dallas #UniversityPark #AthleticsAssaultsAesthetics #Aesthetics. 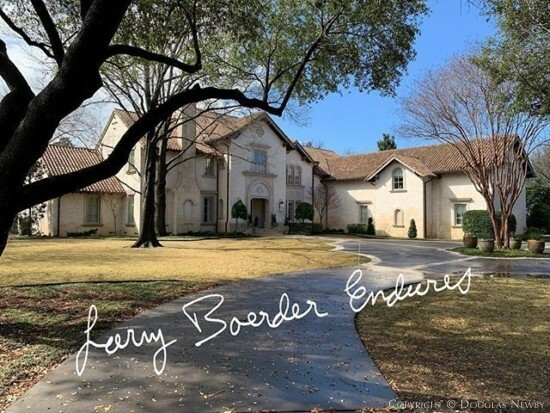 Here is a large Larry Boerder architect-designed house that ten years ago replaced an even larger home built in the 1980s in this Preston Hollow neighborhood. 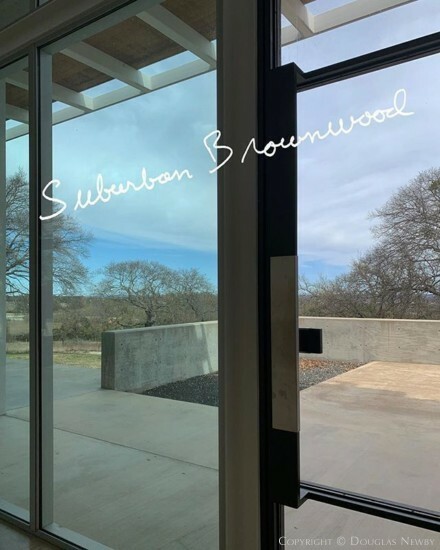 Better placed, more proportional to its large lot, and architecture that has a timeless quality to it, creates a home that looks like it can endure and be enjoyed for more than the 20-year lifespan of its predecessor. We often think of the importance of site and design of modern homes. This architect-designed home shows it can be just as important for a traditional home that draws from historic precedent. 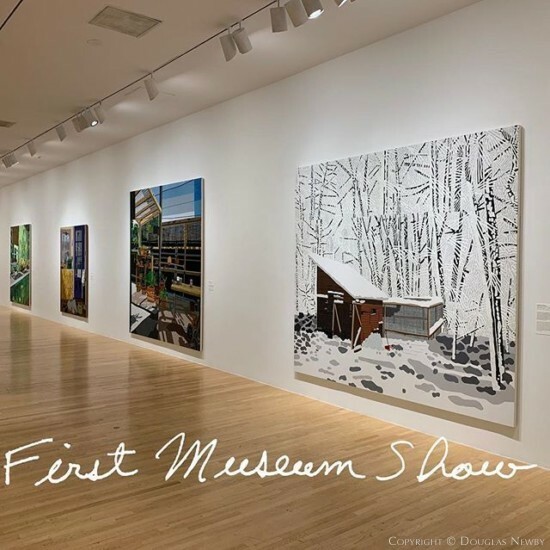 Some of the Jonas Wood paintings in the current solo exhibition at the Dallas Museum of Art have a Secessionist element to them. 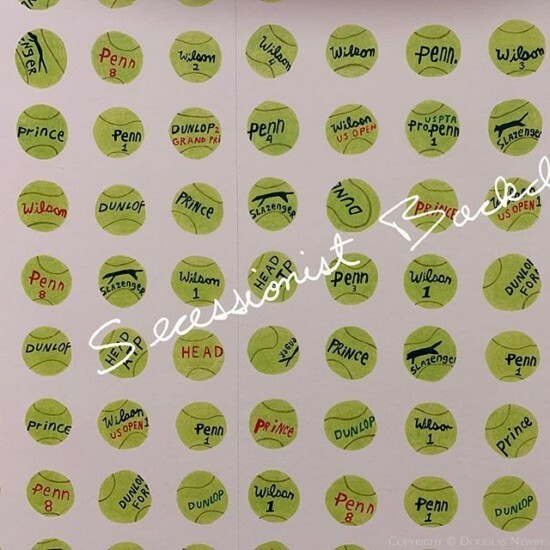 The DMA brilliantly used wallpaper in some of the museum gallery spaces that was reminiscent of the Neue Galerie Secessionist exhibition a few years ago. I love the way the botanical paintings were displayed on this background. 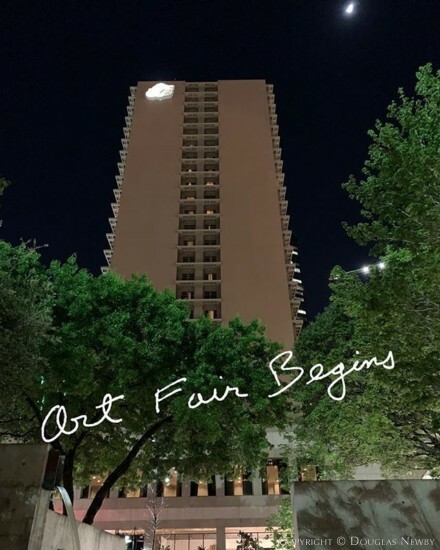 The Dallas Museum of Art put on a great show and displayed a very fine artist! 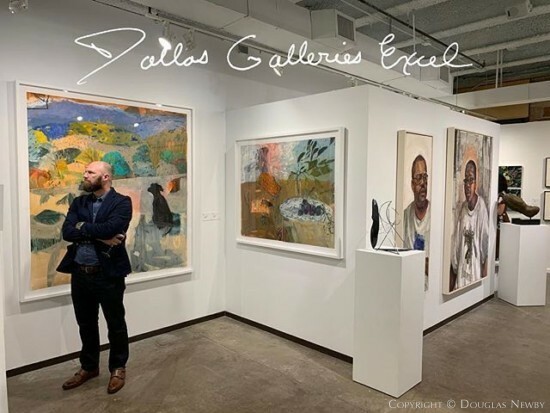 There is often much conversation on how one should dress for an art opening or how art patrons were dressed for the event. The specific museum, gallery, or featured artist might often subliminally or consciously guide these sartorial decisions. It is fun to see when someone hits the tone of the evening exactly right with their attire. 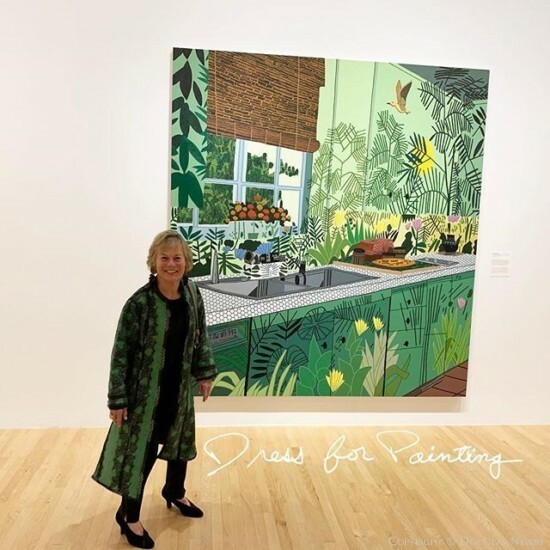 At this exhibition, Beverly gets my enthusiastic nod for so closely tracking Henri Rousseau’s influence on this painting with her beautiful green mid-length open jacket. Read, look, or listen are three approaches to learning about the Jonas Wood exhibition opening at the DMA. 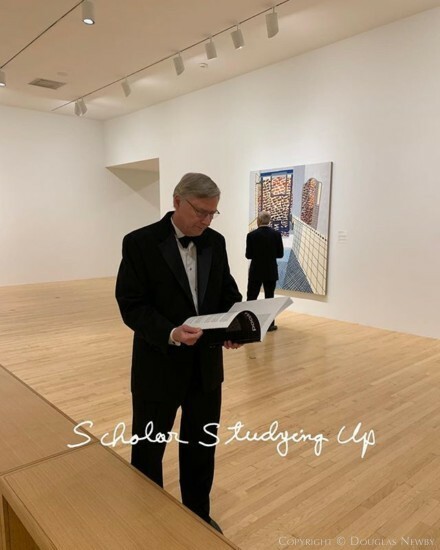 A prominent gallery owner and fellow SMU Town & Gown member chose to read the exhibition catalog before he viewed the paintings. A distinguished museum director got up close to the painting maybe to authenticate it or to study brushstrokes. My choice of an introduction to this painting was to listen. The delightful family of Jonas Wood came to the opening where I met his dad in front of the painting of the bathroom of the home Jonas Wood grew up in. The back story was particularly interesting to me. Jonas’ father is an architect who bought this 1903 home in Weston, MA, in 1975 and owned it until 2016. In 1975 I bought my 1905 house that was also dilapidated; however, his was painted battleship gray and was considered the “horror house” of Weston. The agent thought when seeing the young couple (wife in overalls and husband with long hair and beard) that the house was going to go from bad to worse. Mr. Wood assured the agent his wife was an artist and he was an architect and knew what to do with the home. He showed me many details of the painting, from the American Standard bathtub five inches longer than usual, the replica pedestal sink, and ceramic tile installed in 1935, the last year any work had been done on the house. Mr. Wood discussed many of the travesties of the home that he corrected over the next several decades. He mentioned that Jonas’ mother was able to see her son’s first major New York show in 2009 right before she died. The oral history of the home and family gave depth to the paintings in the exhibition. There is an intimacy and bond with the architecture that comes from living in a 100-year-old home. 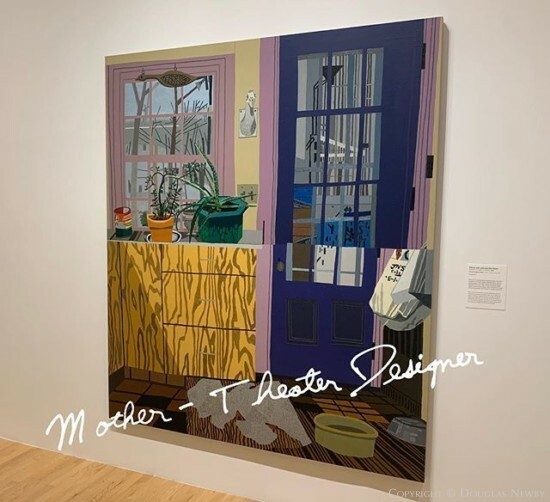 The extravagant details and patterns of architecture in the paintings of Jonas Wood reflect his having an architect and artist as parents and his entire young life observing the patterns, proportions, materials, and quirks of an old house. Listening adds depth that even the most acute studying and the most intense observation cannot offer. 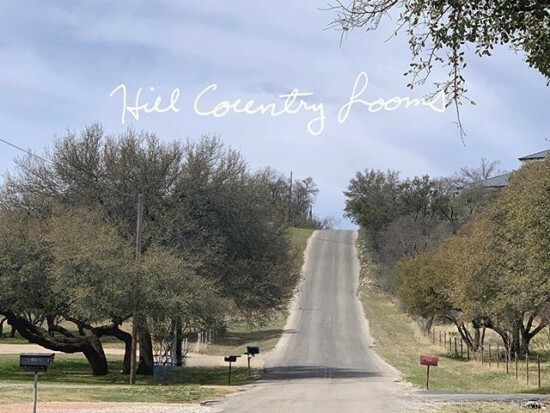 The flat plains of much of Texas can lull a driver, then all of a sudden one hits the northern edge of Texas Hill Country and there is a hill maybe not remarkable for many places in the country, but almost a shock to the system of a flatlander. 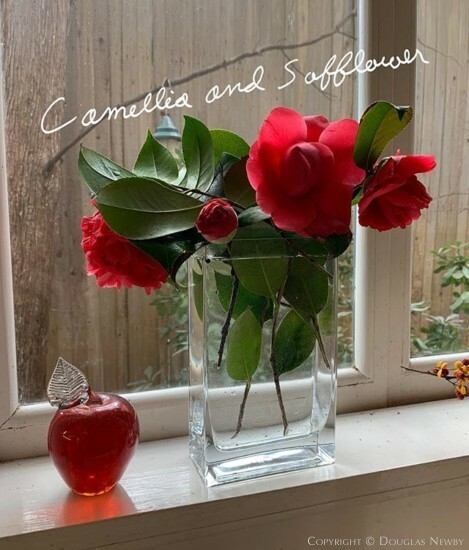 While I missed capturing in this image one of the frequent cardinals enjoying the safflower seeds and fresh berries out the window, the camellia blooms were saved from the recent freeze and brought inside as an homage to the cardinals that stop by and always cheer up gray winter days. 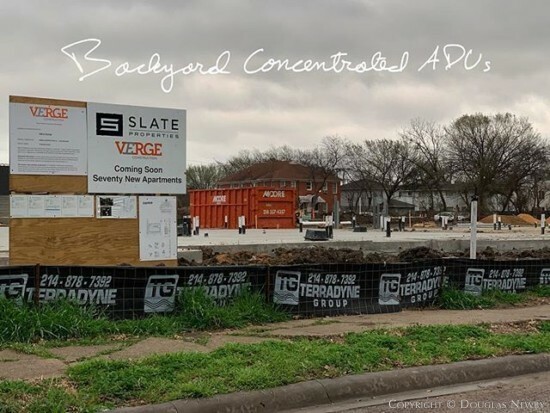 Surrounded by single-family homes on two sides, are these 70 new ADU-sized apartments being built, a block from a historic district. This small apartment complex is equivalent to building backyard rental houses behind 70% of Swiss Avenue Historic District homes or building a backyard apartment house behind one of every three homes in the Munger Place Historic District. If just one more small apartment project was built close to these single-family zoned neighborhoods it would create the density equivalent of building backyard rental houses behind every single-family home in the Munger Place Historic District. The City Councilman for the neighborhood has promoted backyard rental houses and promised to get permission for anyone wanting to build a backyard rental house in their backyard. Even if every homeowner builds a backyard rental house, it would only offer a dent in the low density that the City Councilman despises, but the backyard rental houses would be devastating to the single-family middle income neighborhoods, the city, and the environment. The Dallas Morning News just ran a story about how the temperatures of urban areas are rising twice as fast as the rest of the country. One solution and action taken is to plant more trees. One might think that the trees that get destroyed for backyard rental house/ADUs are more important than another apartment unit. One also might think that having neighborhoods with backyard trees and play areas for children is more important than another apartment neighborhood with streets lined with cars where kids cannot ride their bikes or play safely in the front yards and parkways of their neighborhood. 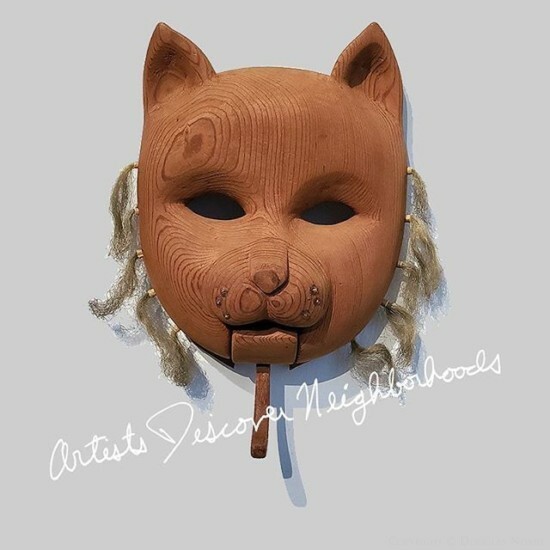 In 1975 Roy Fridge made his Norma Cat Mask in honor of Norma McManaway, wife of Artist David McManaway. 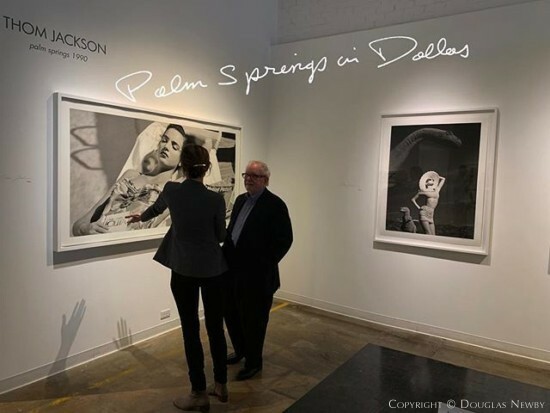 This was also the year the McManaways bought a house on Tremont Street where artist James Surls had first bought a home two years earlier in what was identified as the worst neighborhood in Dallas. Very quickly Tremont Street and Munger Place became an enclave of artists. 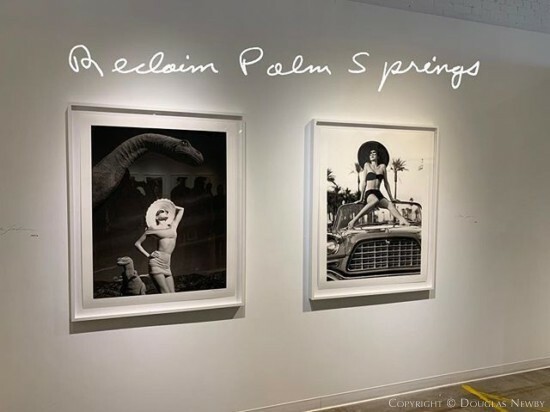 A score of artists bought homes in Munger Place or lived on Tremont or visited frequently, including Frances Bagley, Randy Brodnax, Mike McNamara, Manuel Mauricio, Barbara Bell, Giva Taylor, T.A. Taylor, Pat Forest, David Bates, Dan Rizzie, John Alexander, Jim Love, Sam Gummelt, and a host of others that later included Adrian Hall, Director Dallas Theater Center, and Eugene Lee, set designer of Saturday Night Live. The recent show at the Kirk Hopper Gallery included work by Roy Fridge and reminded me that this hermetic and reclusive artist known for living in temporary beach houses also discovered Tremont Street and lived in a1910 unrestored 200sf space over my open one-car garage. Roy Fridge created dignity and grace in this incredibly simple space. Artists have a way of discovering neighborhoods that have potential and spaces that can be made into something. I heard artist Giovanni Valderas speak about his City Council race in Kessler Park’s District 1. 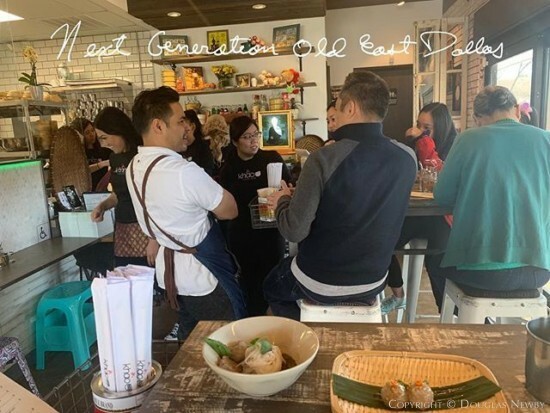 District 1 is 80% Hispanic but it has been governed by the white political cartel based in the extensive Kessler Park single family home neighborhood. His most interesting comment at the Dallas Breakfast Group Forum was that he was in favor of homeownership for the Hispanic community in his district with City resources going towards streets, curbs, sidewalks, parkway trees to encourage Hispanic families to buy and fix up a home to create a better neighborhood and wealth for themselves. His City Council opponent, a Kessler Park resident, had a very different platform. He emphasized spending City resources on government subsidized apartments for Hispanics. I think artists often have a better vision of neighborhoods. Visually looking good—economically looking bad! A city train is a toy every city desires to feel like a city. 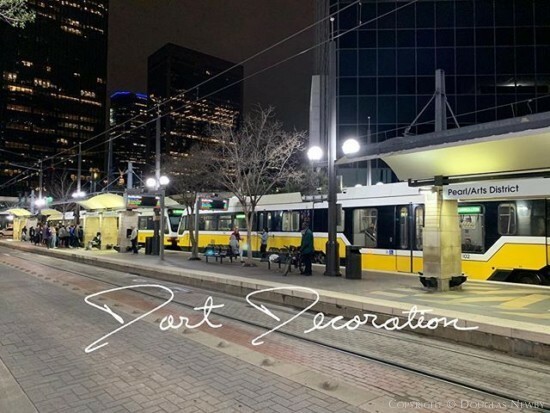 When DART was first proposed, the alleged “flat earthers” who opposed it suggested that it would be cheaper to pick up and deliver every potential DART rider in a limousine than to subsidize their ride on a DART train. They might have been right. Does anyone know the true cost for a passenger mile on a DART train, if all the money to build DART and all the tax money collected every year to subsidize DART is calculated? From Michael Morris to local politicians I have sought but have not been able to receive an answer to this question. The current ridership is so anemic that now there is a proposal to use tax money collected by DART to subsidize developers that will develop projects by DART stations to increase ridership. Inevitably if this happens, DART proponents will point to DART ridership as the economic instigation of this development. Many argue that no matter what the extraordinary cost is per DART passenger mile, it is worth it if it takes cars off the road. Not true! All the studies show that mass transit just encourages urban sprawl, as the temporarily emptier roads fill up, by the increased distant development becoming more economically attractive and valuable. In the meantime, I love the look of the yellow trains zipping around making me feel like I am living in a hip city. For now, I will continue driving to help block the roads to discourage urban sprawl and encourage vibrant growth in the city.